Energy healing modalities are referred to as Energy Work, Energy Healing, and Energy Medicine. Energy medicine is both a complement to other approaches to medical care and a complete system for self-care and self-help. It can address physical illness and emotional or mental disorders, and can also promote high-level wellness and peak performance. You heal the body by activating its natural healing energies; you also heal the body by restoring energies that have become weak, disturbed, or out of balance. The practices involve directing the energy in the body to help clear, strengthen and balance one's internal energy. This will facilitate, support and speed the healing processes. To accomplish this goal, energy work utilizes techniques from healing traditions such as acupuncture, yoga, kinesiology, and qi gong. 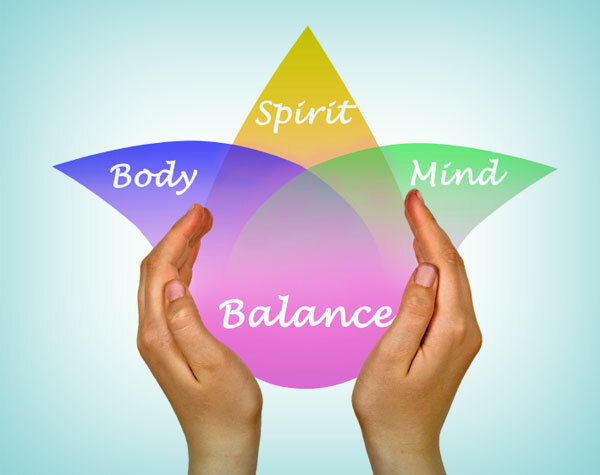 Emotional balance, and harmony can be non-invasively restored and maintained through energy work. JSJ is a bodywork technique that is a way to balance the life energy. It is applicable for all projects of the physical, mental and emotional body, including all critical illnesses. The name Jin Shin Jyutsu means "The Art of the Creator through the person of compassion". In a session, the practitioner uses their hands as "jumper cables" to restart and restore the energy of the individual. JSJ is used by medical professionals to treat stress as well as physical and emotional health. By learning and participating in simple energy techniques to keep your energies balanced and humming, you can improve your health, sharpen your mind, and increase your joy and vitality. Fiona Varker, our JSJ specialist, has over 20 years of body and energy work. A session with Fiona includes information and instruction on self care practices for use throughout your day. A Japanese healing technique using the palms as a means of utilizing what is often referred to as "life force energy;" practitioner works with a patient's energetic frequency to inspire the body to relax and heal itself. Reiki works by identifying and minimizing stress in the body for the purpose of restoring emotional and physical homeostasis. The National Center for Complementary and Integrative Health (NCCIH) of the National Institutes of Health (NIH) has completed five studies looking at the benefits of Reiki in assisting people with diabetes, advanced AIDS, prostate cancer, fibromyalgia, and stress. Other published studies have looked at the effect of Reiki on measures of stress hormones, blood pressure, heart rate, and immune responsivity, and on subjective reports of anxiety, pain and depression. Your body is full of energy! Emotions are closely connected with physical sensations, and scientific developments allow us to understand why. This sensation map, published by the Proceedings of the National Academy of Sciences, show the energy and emotions flowing through the human body. When experiencing emotional upset and imbalance, a session of energy work couples with self healing practices can get the body back to a neutral restoration.